Mozart. The Shakespeare of Classical Music. Experience an unforgettable evening of his greatest hits and lesser-known masterpieces, including a spotlight on principal bassoonist Carolyn Beck. Our 2013 performances of Mozart’s Clarinet Concerto and Requiem were experienced by more people than any other ticketed concert in Redlands Symphony history. Because our Mozart concert falls on Veterans Day, the Redlands Symphony is dedicating the evening to the men and women who have served and are serving in uniform to protect America. As part of the tribute, veterans and active-duty service members will receive a 50% discount on the price of a ticket. Right now seems an especially important time to honor our men and women in uniform; past, present and future. At the Redlands Symphony, we express ourselves best through the language of music, so we dedicate this concert to our Veterans. 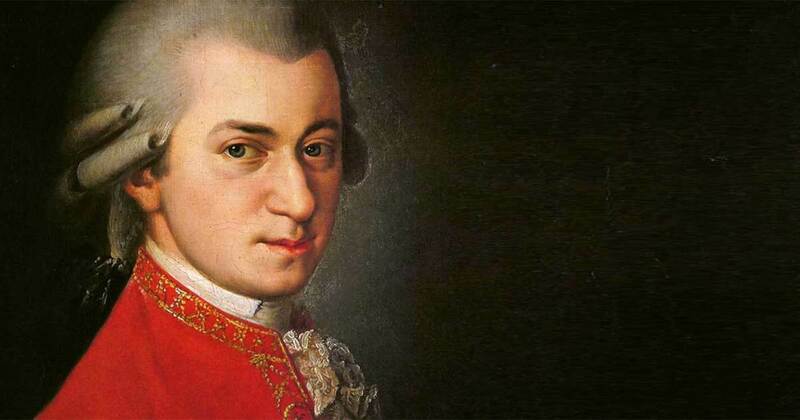 We hope the healing music of Mozart honors you and uplifts us all to a greater spiritual unity. Call 909.587.5565 to learn more. The Symphony No. 24 in B-flat Major is like the best Viennese pastries: sweet, light, even frothy, but requiring great technical skill and no less the work of a master than other forms of musical haute cuisine. In this earliest of the woodwind concertos Mozart wrote—each a treasured part of the repertoire—we can hear already his instinct for the special capabilities and character of a given solo instrument. If not quite seductive, the serenade is meant to be emotionally persuasive, and it has certainly succeeded. The piece turns on a series of memorable tunes that have come to define our appreciation of Mozart. These symphonies are the height of galant fashion and full of the wit and ingenuity that make Mozart’s music perpetually au courant. Enjoy an evening with our oldest friend. The Redlands Symphony has a lengthy relationship with classical music’s most famous composer. For years, crowds have flocked to the Memorial Chapel to hear the Shakespeare of classical music. The tradition continues November 11. Ransom Wilson, our Music Director and founder of the famous OK Mozart Festival, leads the Redlands Symphony in a full evening of music by Wolfgang Amadeus Mozart. Music so catchy, it’s hard not to hum along. Eine kleine Nachtmusik may have been composed as background music for a party, but good luck keeping that catchy melody out of your head. Be stunned by new surprises. Two little-known symphonies by this master composer will thrill you. And you won’t want to miss our own Carolyn Beck, who takes center stage in Mozart’s youthful bassoon concerto.